Autism Project of Southern Ohio President Mike Bell stands outside the Waller Street building the autism group should by now be calling home. “There’s just so much stuff we’re going to be doing, it’s phenomenal,” said Mike Bell, president of the Autism Project of Southern Ohio. Having just marked their 20-year anniversary, the group is about to take a big step toward solidifying their future. If everything went as planned over the weekend, the Autism Project’s Board of Directors should have approved the group taking over and moving into a currently abandoned building at 1018 Waller St. While the building has sat vacant for some time according to Bell, it was once home to the Haugland Autism Learning Center. Among other amenities, the property boasts a playground, an outbuilding Bell intends to use for recreational purposes and a kitchen in the main building which can be used to teach food preparation skills to persons with various challenges. But Bell is optimistic those are only some of the advantages the building holds for his organization, one which he has led since 2010. “This is going to be a place we can call home,” he said. Besides leading the Autism Project and being an activist for several local veterans’ groups, in the interest of transparency, Bell is an advertising sales representative for the Daily Times. For many years, the Autism Project has used the New Boston Community Center for its activities. Bell said that facility consists of one big room used by any number of different organizations. The new building will allow them to far better serve their roughly 45 members and their families, who pay dues of all of $15 annually which covers the autistic person and anyone living under the same roof. As an example of making use of the new building, Bell talked about bringing in speakers, predictably mostly experts on the subject and challenges of autism. The interior space clearly allows for such activities while the exterior provides a completely fenced-in, safe environment for children to enjoy while their parents are inside listening and learning. On a whole different front, Bell talked about setting up a computer lab with 10 computers recently obtained by the Autism Project. “The main thing is, the sky is the limit,” Bell said. Bell said the nonprofit Portsmouth Inner-City development Corporation owns the Waller Street building and is helping the Autism Project lease the space. He and his board were expected to vote on leasing the building Saturday evening. Because of weekend publishing deadlines, the exact results of that vote were unavailable in time for this story. However, Bell said he fully expected the vote to be in favor of taking over the building. If the board votes to move forward, Bell expected to take over the building today. Bell was quick to admit the Waller structure is not in perfect condition. He said the inside needs some help and the exterior also needs some attention, some of which will be provided by the Development Corporation. Bell also talked about holding a sort of service day, inviting the public to come and help with such things as grass cutting and weed trimming, perhaps painting and power washing playground equipment as well as some interior work on the building itself. He said he hopes to make the day sort of a party for the volunteers. An exact date for that event is not set, but those interested can watch for an announcement on the Autism Project Facebook page. Please note to take care to go to the Facebook page of the Autism Project of Southern Ohio and not the Adult Autism Project of Southern Ohio, which is a separate, unrelated organization. The Autism Project is completely run off donations and fundraisers, the latter especially held in April, which is National Autism Month. Area businesses apparently have been very generous with the organization. Bell does have a son, now 24, who is autistic. But he shows what seems to be a genuine passion for aiding autistic persons and their families. The word “family” is one Bell uses repeatedly. He claimed several times persons who join the Autism Project become family. He said those going through some aspect of dealing with an autistic person will almost always find someone in his organization who has already dealt with the same exact thing. Bell told one story of a young girl who came to the Autism Project partly because she claimed she had no friends. Shortly after joining, Bell said she was sitting off to the side with other people her age talking about books they had read. Getting autistic persons and their families to interact seems to be a big goal of Bell’s. “It’s all about helping each other and helping people,” he said. 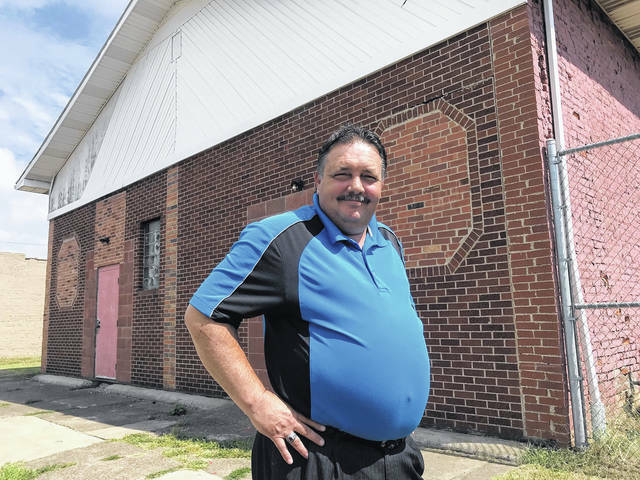 https://www.portsmouth-dailytimes.com/wp-content/uploads/sites/28/2018/09/web1_mike-bell-jpeg.jpgAutism Project of Southern Ohio President Mike Bell stands outside the Waller Street building the autism group should by now be calling home.